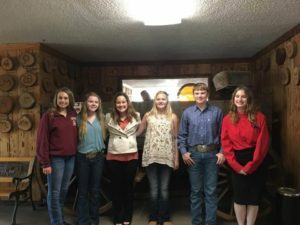 Beef Ambassadors – Youth with Beef Knowledge! Congratulations Senior California Beef Ambassador contestants. So very impressed with this group of knowledgeable young CattleWomen. Taylor Hutchinson, Kerstyn Barton, Valley Urricelqui, and Samantha Nielsen. Thank you to Erin Rogers and her team for putting together a very educational contest with lots of great food. 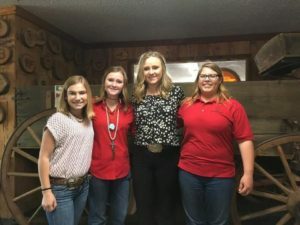 « What happens when you have a Cooking Contest Among Cattlewomen?